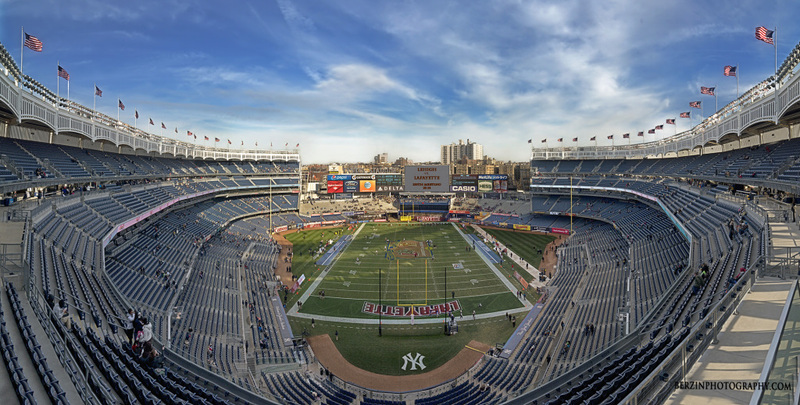 The 150th meeting of Lehigh and Lafayette football took place on Nov. 22nd at Yankee Stadium. This is the first shot to be edited, but there are more to come! Please follow Berzin Photography on Facebook to see more! Send us an email at Photography@Berzindesign.com or click the link below if you wish to purchase a print of this shot- up to 40 inches available! Taken on a Nikon D800, 14mm f2.8. 3 exposures were hand blended in PS6 with a Wacom tablet. 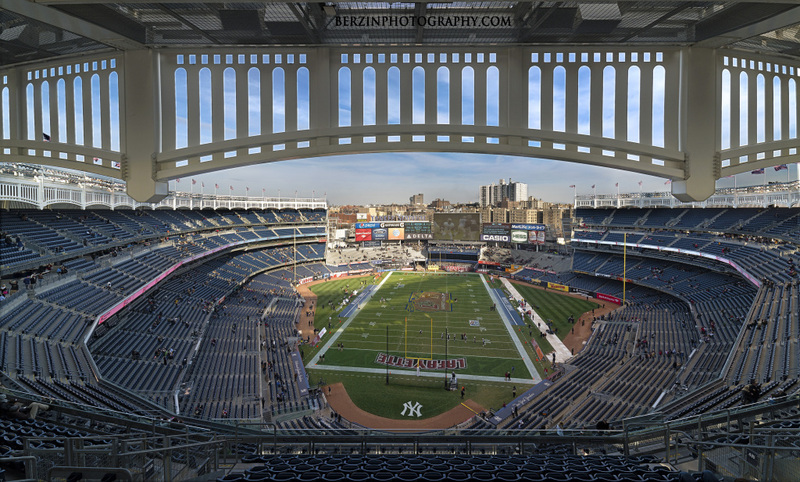 The University also sponsored an “official” panoramic print (which can be ordered from the photography service starting at $30 before shipping). I took the exact same picture (seen below), and its for sale, too- for less! Click the button below for a high res download, or a printed version!